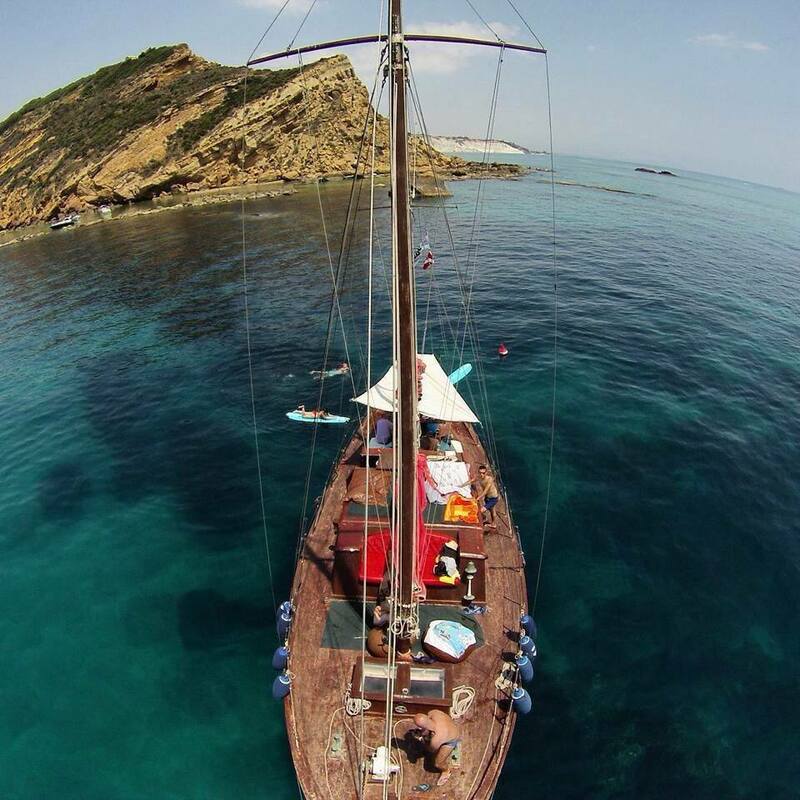 An unforgettable experience on board of a schooner Galleon of 1936 equipped with comfortable seating, cushions, poufs, sunbathing areas, shady spots, cov-ered rooms and all necessary facilities. 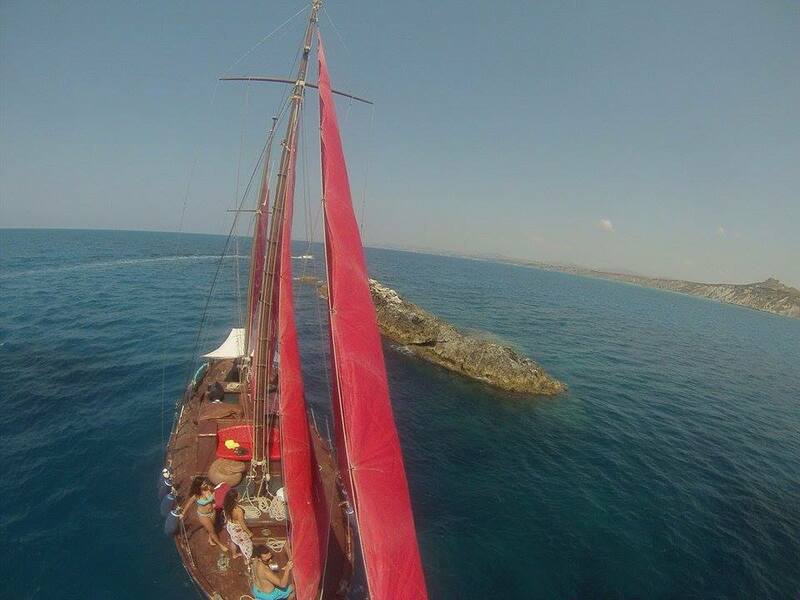 The departure for the afternoon trip is at 05:00 p.m. from the port of San Leone. The first part of the day will include a sweet navigation of about one hour during which you can sunbathe and admire the play of colors of the coast that isunparalleled throughout the province, until we reach the famous Turkish Steps, a white rock strip that shines in the sunlight. 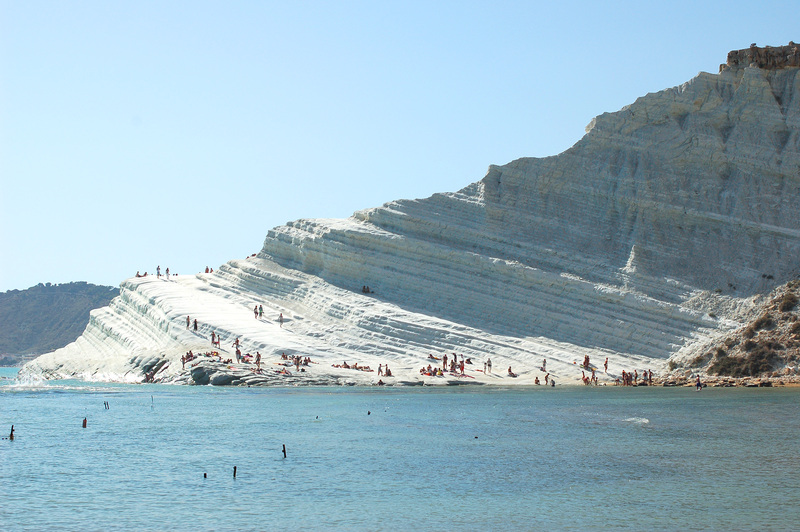 Its white color and its undulating forms that enchant tourists from around the world for almost half a century or more, are the reason why this site soon will becomepatrimony of UNESCO. Near theTurkish Steps we will stop for a refreshing swimming. Meanwhile, our chef will prepare for you a drink and the dinner. 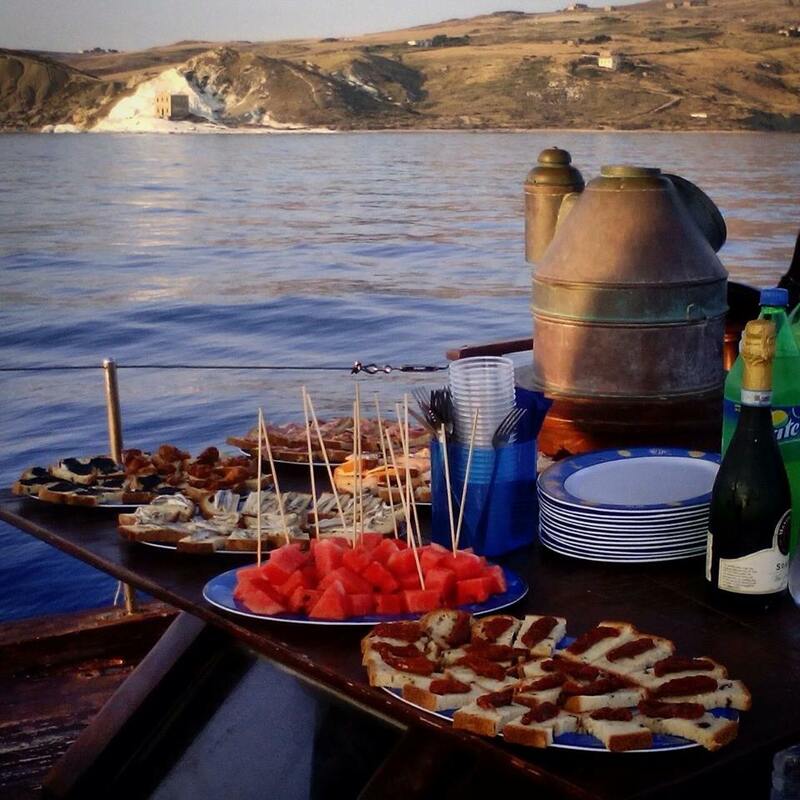 A sunset we’ll enjoy a fresh Prosecco wine accompanied by typical Sicilian ap-petizer consisting of slices of bread with marinated anchovies of Lampedusa, bluefin tuna and salmon from Trapani. The following dinner includes a dish of pasta with pistachio pesto, shrimp and fresh chopped bitter almonds, with excellent white wine. After dinner there is the magic moment of this afternoon excursion: surfing the night under the stars. On the way back you can see the lighted coast, wrapped in the silence of the night broken only by the whisper of the sea. The return to the port of San Leone is scheduled at about 09:30 p.m.